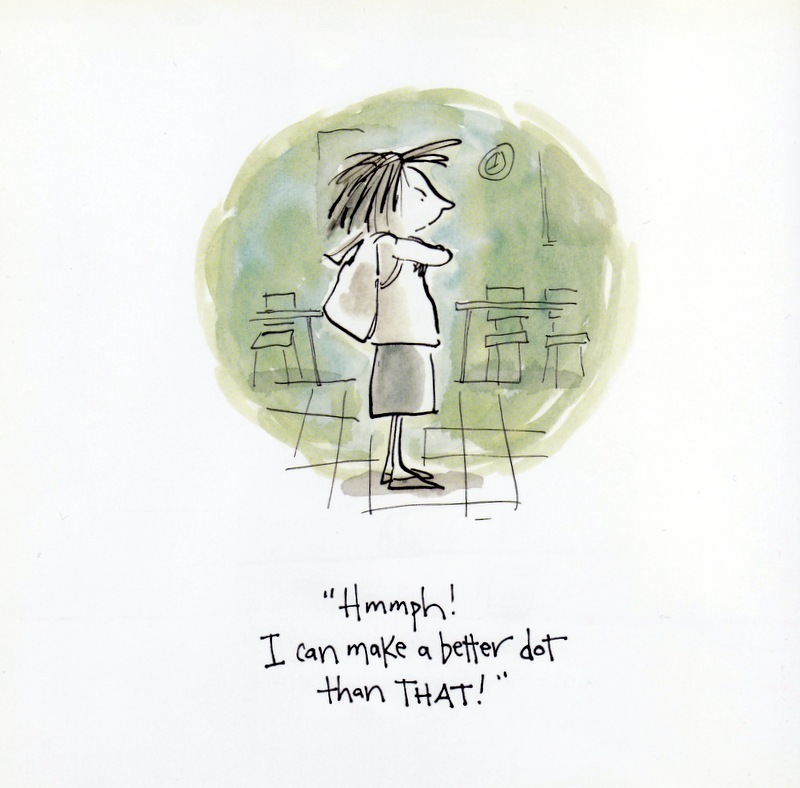 Peter H. Reynolds has illustrated the books he’s written, as well as books penned by other authors. 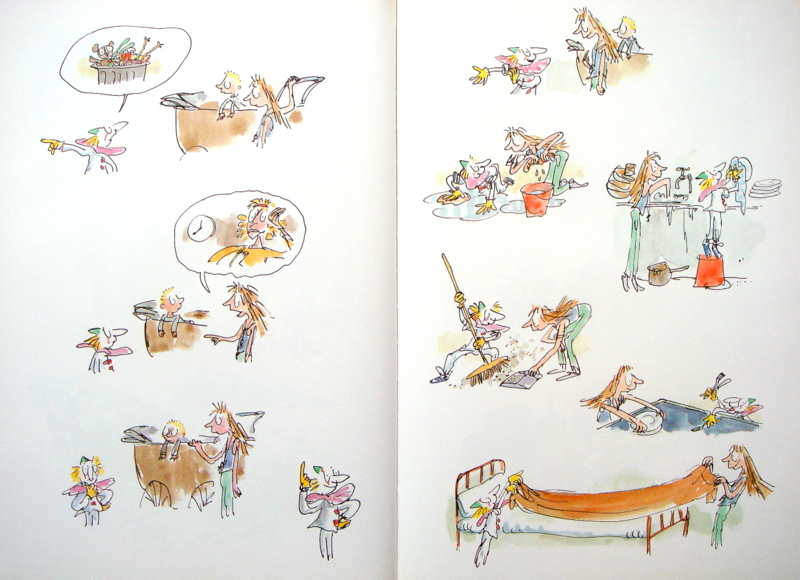 While reminiscent of Quentin Blake, his illustration style is undoubtedly his own. His art is loose, free and energetic. In The Dot, he uses beautiful splashes of color over carefully shaded two-tone art. Reynolds’ writing style is uncomplicated and undiluted. He says just what needs to be said and moves the story effortlessly. 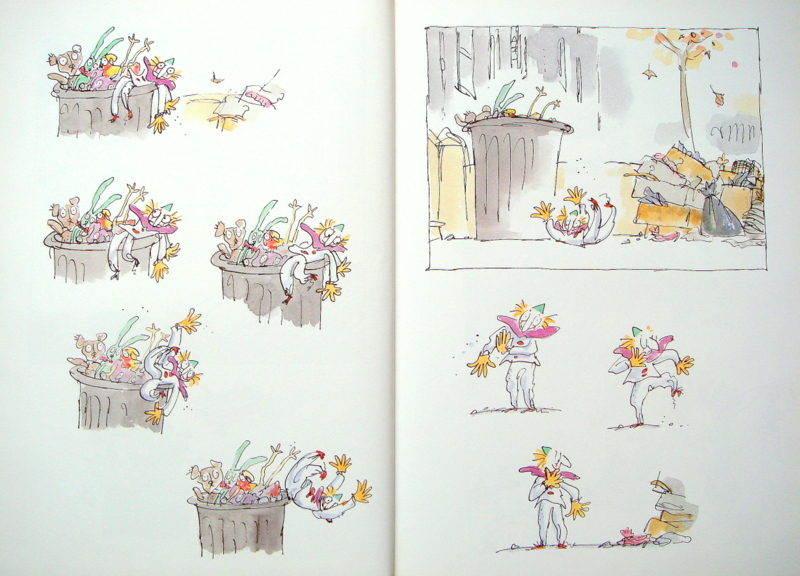 Reynolds has also devoted himself to inspiring creativity through his books: guiding children to find their artistry, to feed it, grow it, and nurture it. And not just the kind of creativity you already know exists but any kind of creativity, encouraging readers to be imaginative and inventive and to look for inspiration all around them. Vashti stares at her blank piece of paper at the end of art class. Her teacher meets her declaration that she “cannot draw” with calmness, and a suggestion. 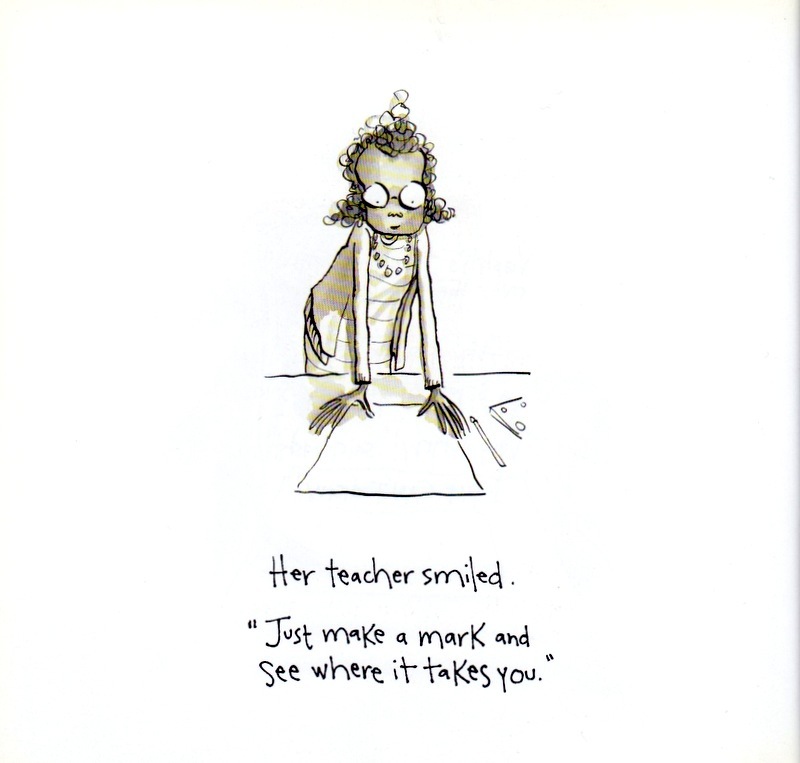 Vashti picks up a marker and makes a strong jab at the paper, leaving behind a small dot. 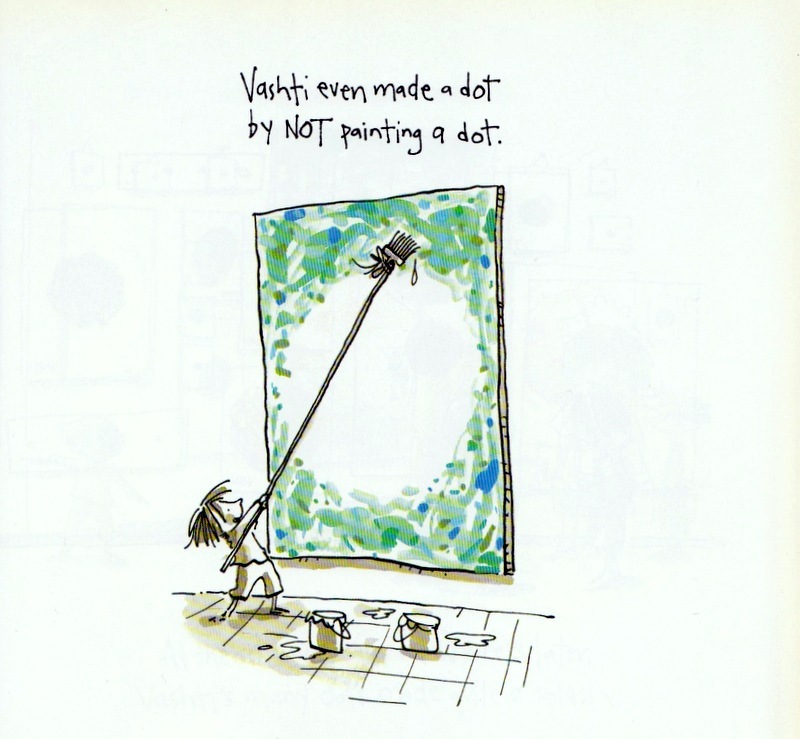 Her teacher studies the dot, and then asks Vashti to sign it. The next week, when Vashti enters her art class, she sees her art framed and hanging over her teacher’s desk! Vashti feels both pleased and challenged. She cracks open a new case of watercolors and sets to work. She paints dots of every color. She makes little dots and big dots. The dots are a huge success at the school art show! A small admirer approaches Vashti. He wishes he had her talent but claims he “can’t draw a straight line with a ruler.” Vashti hands the boy a piece of paper and asks him to draw a line. He returns the paper with a small squiggly line drawn on it. Then Vashti asks him to sign it. 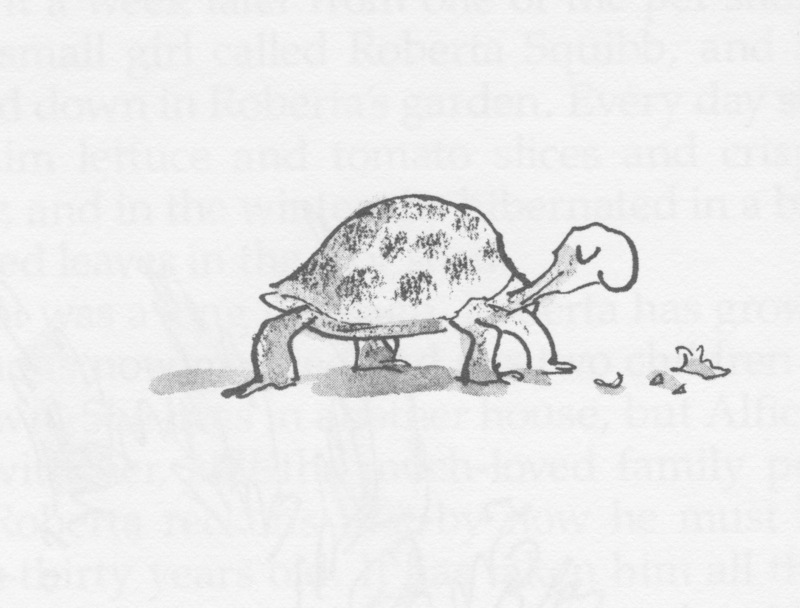 Esio Trot: True love, by way of a tortoise. 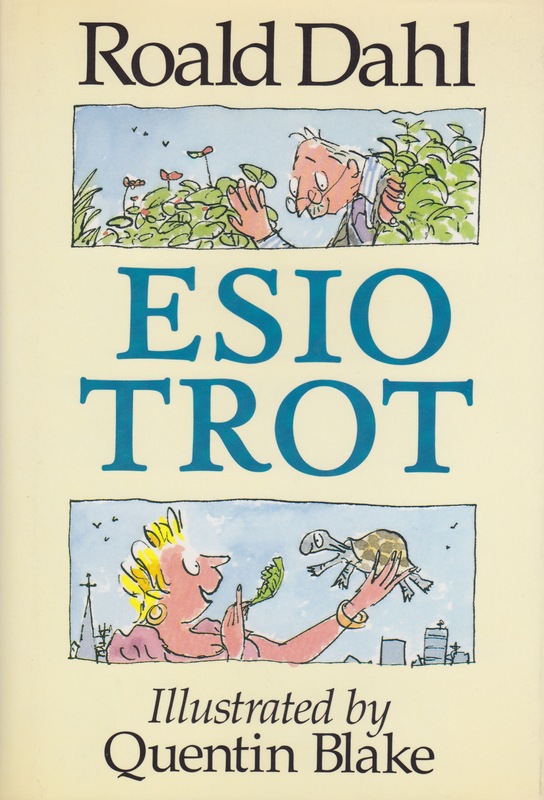 A quick note about the title—Esio Trot is tortoise spelled backwards. 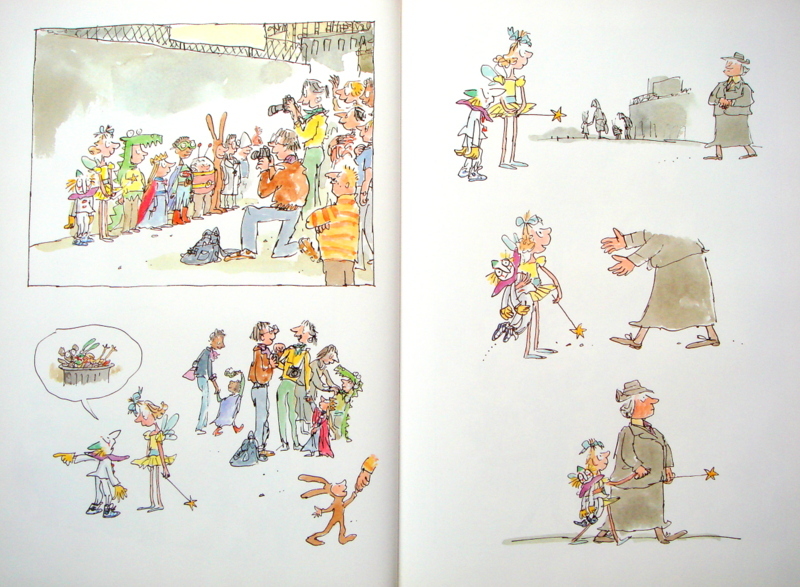 If you’re familiar with Roald Dahl’s books, you know Quentin Blake’s art; he is Roald Dahl’s main illustrator. 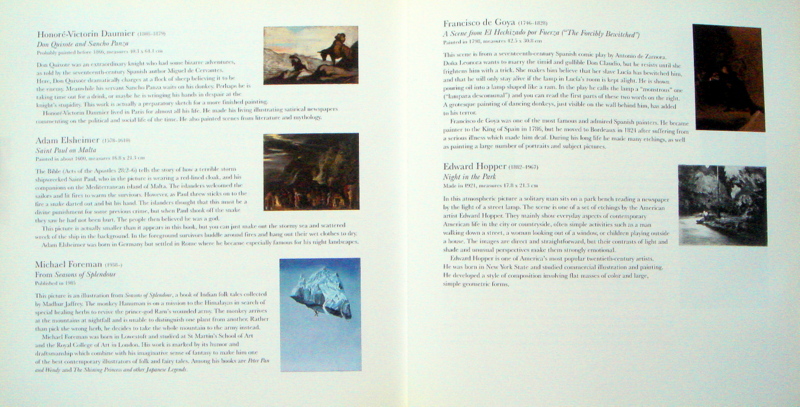 Blake has a vast canon of his own amazing works as well. 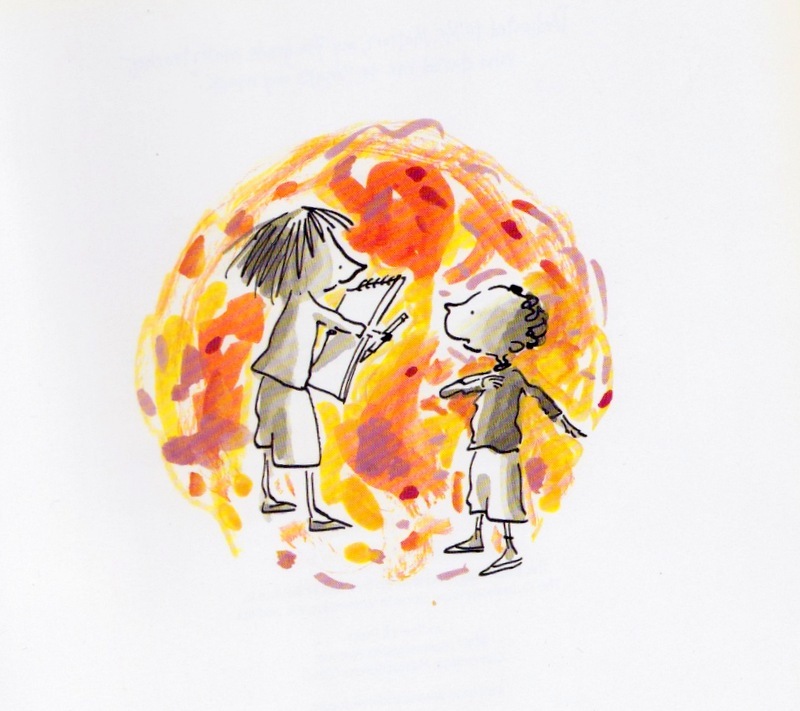 He illustrated Dr. Seuss’s A Great Day for Up! 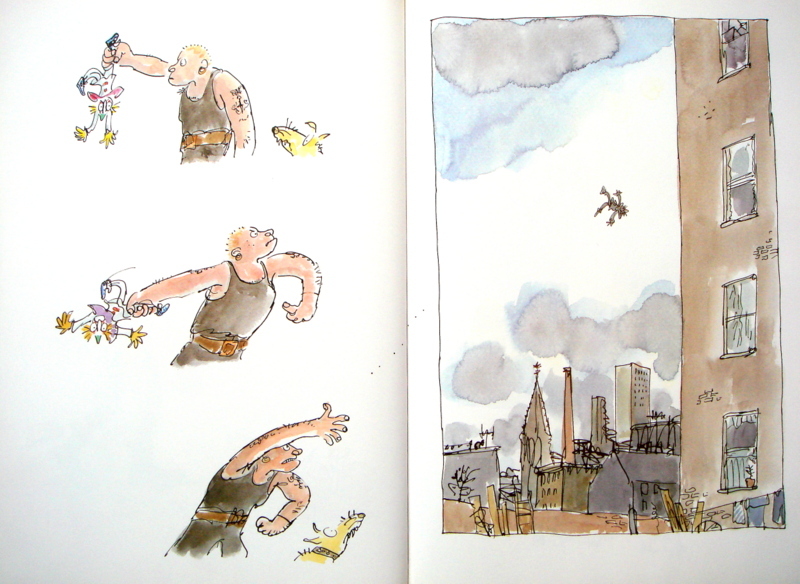 He’s also my favorite illustrator, which is too bad because it’s near impossible to collect all of his books. 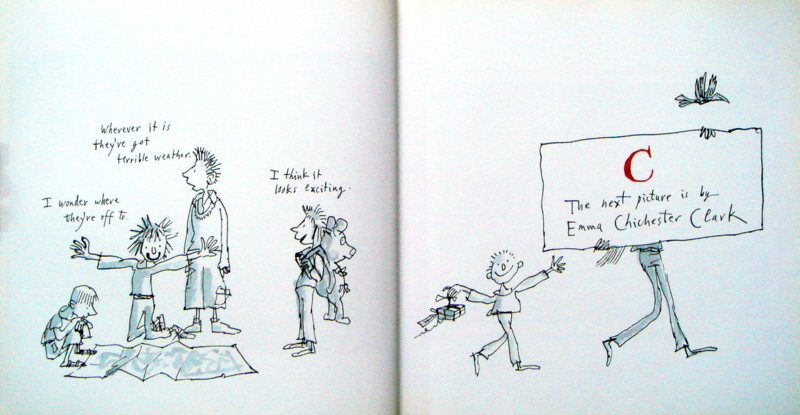 Blake’s art is loose, free, uncomplicated and energetic. He is able to capture everything you need to know with a simple line stroke and just the perfect amount of contrast. There’s movement to his art. When he works in color, he uses a perfect palette and adds just enough color to give you the essence you need. 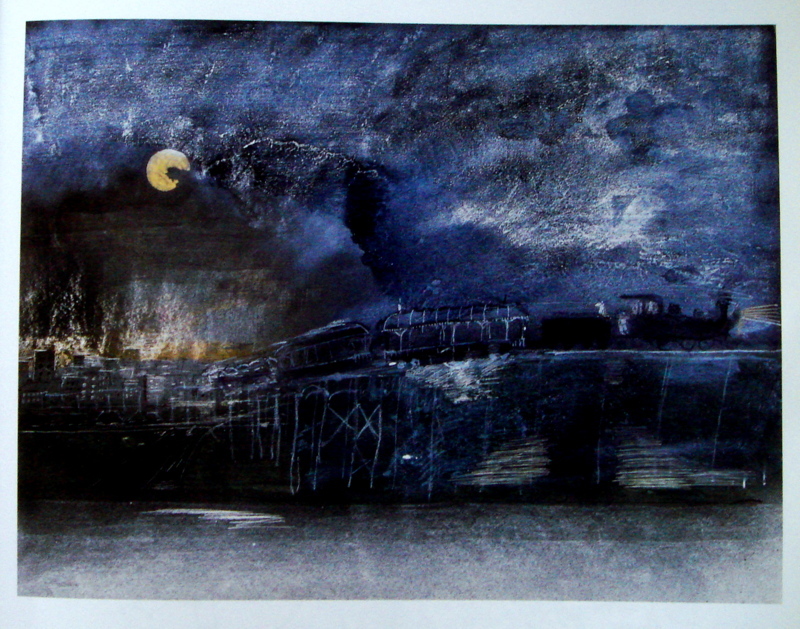 His work looks so effortless that it can, wrongly, give you the idea that what he does is easy. It’s not. 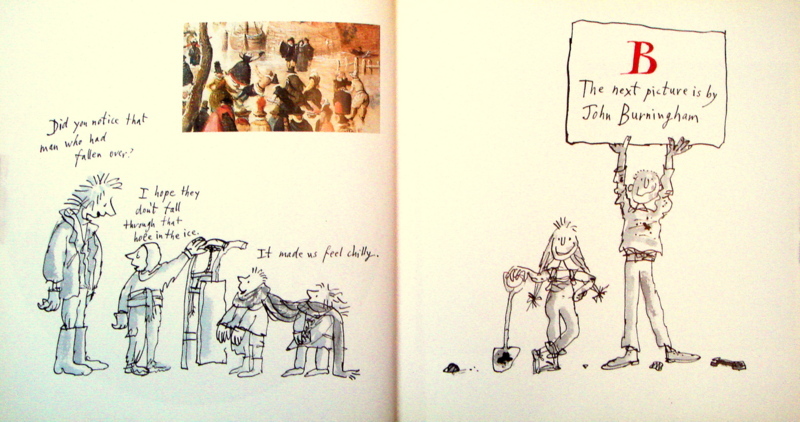 There have been many illustrators who have tried to copy Blake’s style, but there’s no comparison. Only Blake can convey so much emotion with so little ink. 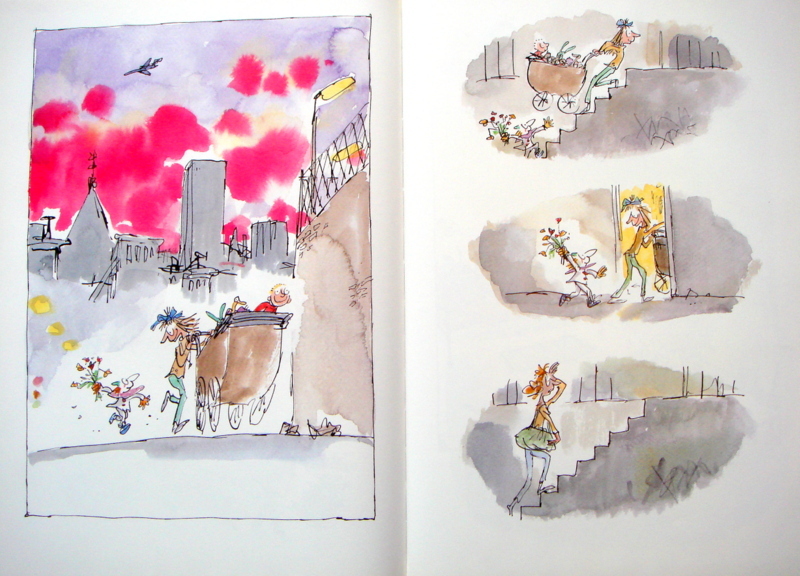 In Esio Trot we have my favorite illustrator drawing my favorite animal! Turtles, or in this case, tortoises. The interior art is black and white and is quintessential Blake. The tortoises each seem to have their own expression and personality. You can see the gentle heart of Mr. Hopper and hear Mrs. Silver’s laugh. And this is all accomplished through Blake’s hand. Mr. Hoppy lives upstairs from Mrs. Silver. He’s quite smitten with her but he’s also quite shy. 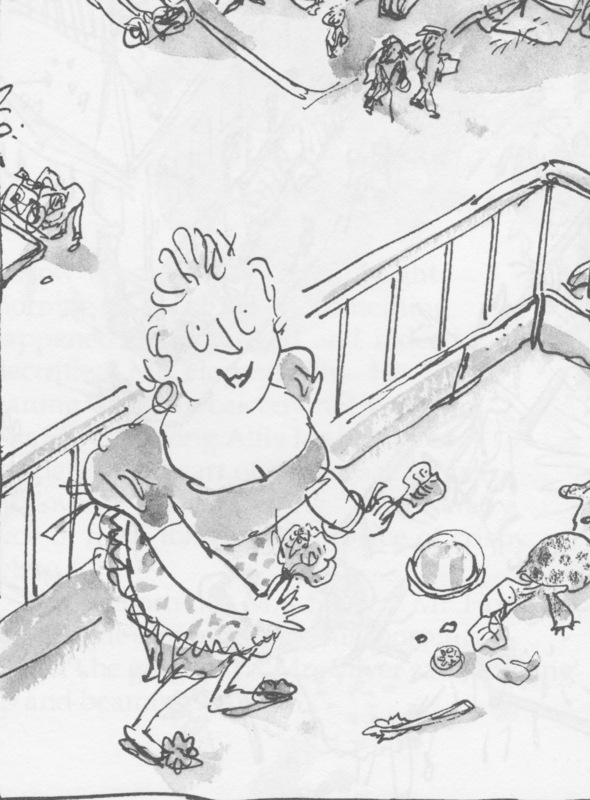 He often converses with her from their respective balconies but just that requires all courage he can muster. Mrs. Silver has a pet tortoise Alfie that she is quite fond of. 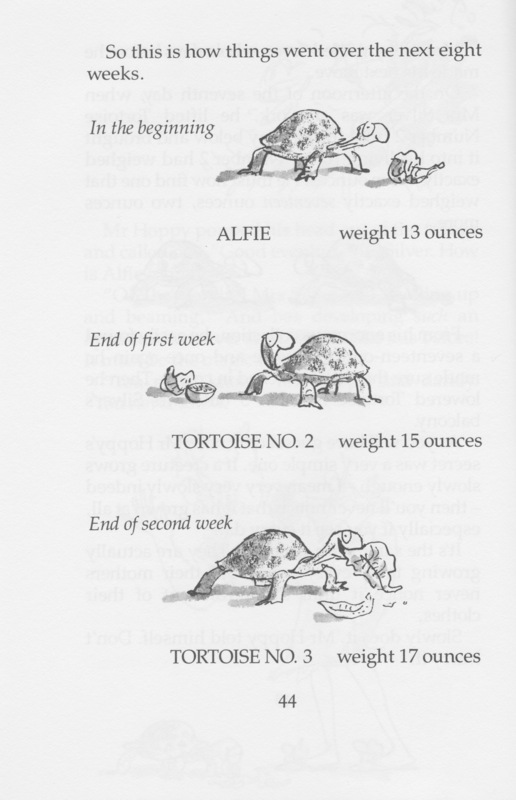 Alfie’s lived with her for eleven years (I myself have had a pet turtle for 19 years) and in that time he has only gained three ounces. Mrs. Silver is desperate, and impatient, for Alfie to grow bigger. This situation gives Mr. Hopper an opportunity to win Mrs. Silver’s heart. Mr. Hoppy confides that he has a secret: a phrase to say to Alfie three times a day that will make him grow. Mrs. Silver dutifully, though skeptically, follows his instructions. In the meantime, Mr. Hopper visits every pet store in town and purchases 140 tortoises of varying sizes. You see where this is going, right? Mr. Hopper is ever so careful in his plan to make it appear as though Alfie is really growing. He weighs each tortoise, matches the colors on the shell to the original model and picks one that is ever so slightly larger to replace Alfie. He does this every week for eight weeks. Mrs. Silver is overjoyed at how well the spell is working. It’s working so well that Alfie has grown too big to fit into his house! Not to worry. Mr. Hopper gives her another spell, this time to reverse the growing, just enough so that Alfie fits back in his house. And Mr. Silver goes through the whole process again, backwards. And it works again! Mrs. Silver is so overjoyed she invites Mr. Hopper to come down to her balcony and he proposes on the spot! She joyfully accepts. 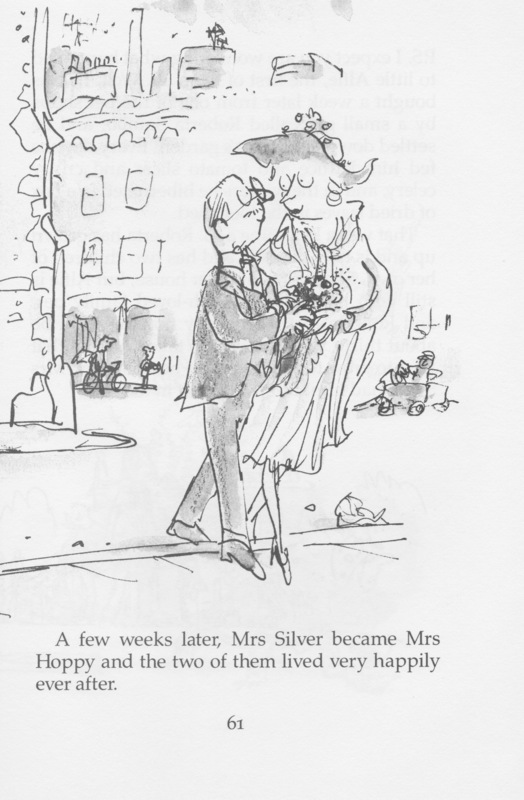 Mrs. Silver is none the wiser and Mr. Hopper is able to return all the excess tortoises he’d purchased. Alfie, who was returned to one of those stores, is purchased a week later and goes to live with a young girl named Roberta Squibb. Roberta is grown up now; she’s married and has a family of her own. 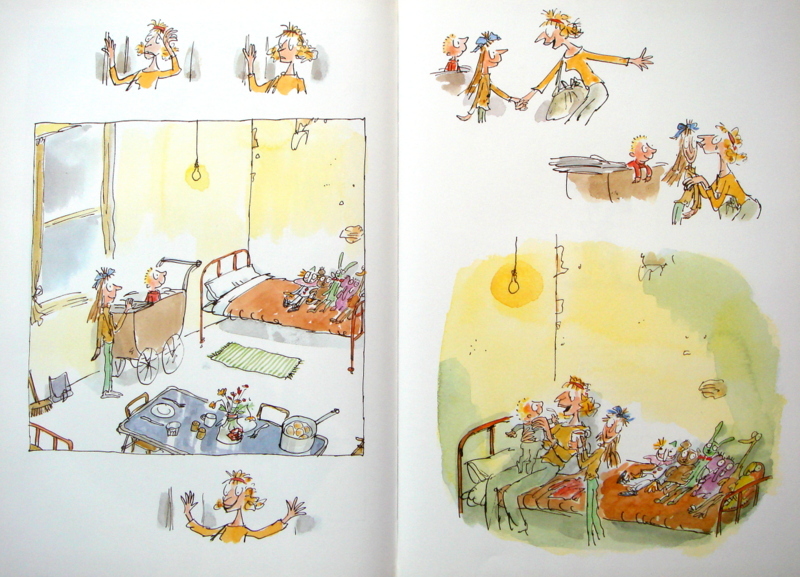 Alfie still lives with them and it’s taken him all that time to grow twice the size he was when he lived with Mrs. Silver.